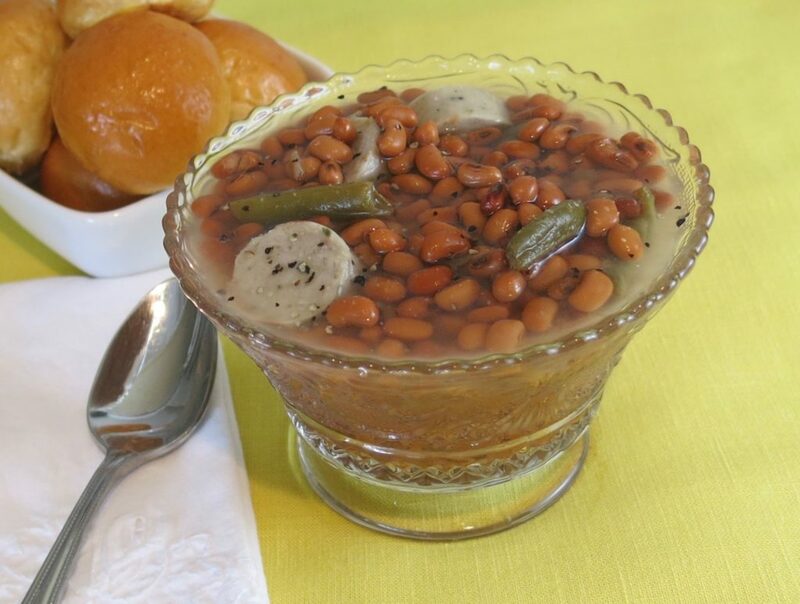 In a large saucepan or soup pot, fry bratwurst to brown on all sides. Remove and cut into circles; set aside. Return pot to medium-high heat and add bacon and onion. Fry for 2-3 minutes then stir in vinegar, tomato sauce and Margaret Holmes Seasoned Field Peas & Snaps. Add chicken broth and Bratwurst, reduce heat to a simmer and cook for an additional 15 minutes then sprinkle with cracked pepper.